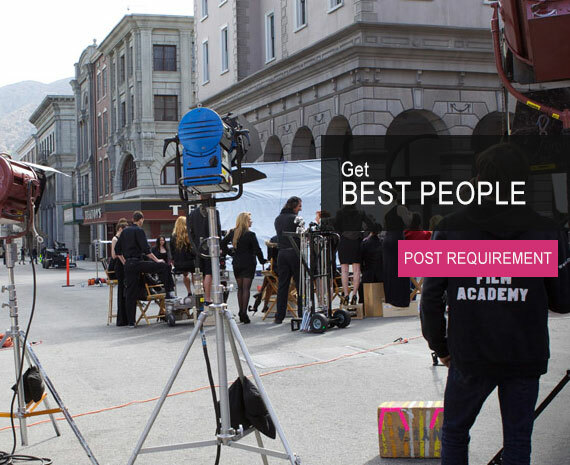 · Register as Employers Post your production requirement free on chain2bollywood.com or on our mobile APP, totally free! · Search among'st data of more than 10000, profiles of professionals, Actors, Models, Agencies, Studio’s on our site and app. Filter out your requirement with advance filters. · Email or whats app ,your requirement to C2B team, and get chain2bollywood team working, to get you right profile. · Free !Register with our website and post your vacancies. · We cover all the minimalistic requirements. · Post your vacancies or choose from the user profile. · Post your requirements free of cost. · Go to Website chain2bollywood.com or Download chain2bollwood APP from playstore from http://bit.ly/2oMxeU9. · Register As Employer (Chain2bollywood team will authenticate approve and activate your account. · Actors and models inquiries will go to C2B Admin team or respective coordinators. Coordination charges for models and actors will be applicable. · An exclusive real time network of Media and Entertainment Industry. · Focuses on creating opportunities for people and companies in the industry. · Provides various kinds of services such as Listing, Booking and Scheduling. · App saves your time, effort and money. · Minimal input, Maximum output.